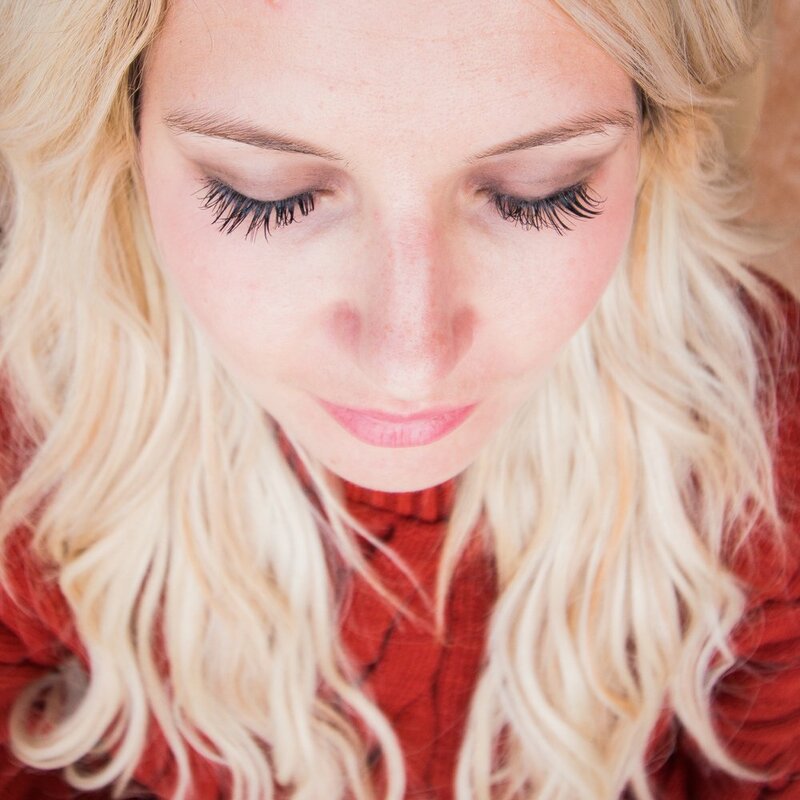 I had the super fun experience of receiving my first ever set of eyelash extensions at Flutters Lash last week, and I’m not sure my life will ever be the same! ;) You can scroll to the bottom of this post or click here to watch my transformation video! I have been interested in them for such a long time because I have the TEENIEST eyelashes of anyone ever, I’m convinced. They are also blonde. In fact, they’re so short that I can’t actually curl them, regardless of the curler, without also pinching my eyelid. Lord knows I’ve tried my fair share of fake eyelashes (including my disastrous trial with magnetic eyelashes that some of you witnessed via Instagram stories :/). I could probably write a book on how badly I want great eyelashes and the lengths I’ve gone to to try and have them, but this, ladies and gents, is the end I do believe. The extensions are different because they stay on for up to 3 months, and they look AMAZING! You can go in as often as you’d like (they recommend every 2 weeks) to get a fill-in since you’ll lose a few as you go. But guys, the first morning I woke up with them, I was absolutely amazed that I felt like I didn’t need ANY makeup. Don’t ask me how this happened, but I’m not even talking about just not needing EYE makeup. I mean, zilch. It changed my whole face, and I have been so so pleased with them! I wanted a natural look so I went with the middle-of-the-road set called the “babydoll” at Flutters which means they attach one eyelash to one of your existing eyelashes (as opposed to attaching 3 per eyelash with the “volume” set), but the “babydoll” are a little darker so it gives you the look of having on mascara without ever actually having to wear it! (AND THE ANGELS SING!!) I truly think they are perfect. They’re natural enough that I feel like I can wear them with no make-up and not look ridiculous but definitely still much longer and more beautiful than my natural lashes. The only thing I was concerned with before I went in was that my eyes are VERY allergic to literally everything. I can only use 1-2 brands of eye makeup without ending up with swollen and scaly eyelids, and I was so nervous I would have a bad reaction to the glue. I told my lash stylist about it, and she said she would just avoid it by using the sensitive glue, and Voila!- it was just fine! If you see in the video, one of my eyes was a little agitated right after the appointment, but I think it was because I had accidentally opened it and gotten a little glue in it during the appointment. The next morning neither one was agitated at all, and I was amazed! Bottom line: I love, love, love my lashes and hope I get to keep them forever! Flutters did an amazing job (and I got a bonus nap out of the deal it was so relaxing ;)). Be willing to spend a little time the first time- it took me about 2 hours- but it’s so worth it when you leave! Give them a call if you’re local to Oklahoma if you want to try them for yourself!